We are grateful for your support and we are here with a giveaway contest for our readers and supporters powered by Honor. 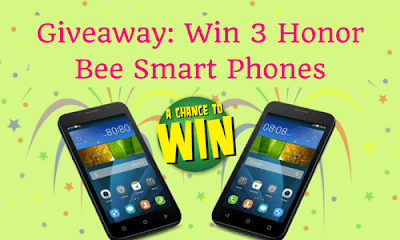 We want you to participate in the giveaway contest and get a chance to win Honor Bee smartphone which a next-gen smartphone with various surprising features. Winners will be chosen by us after close inspection of your form. Only three winners will be selected in this contest.